People say it wasn’t that long ago that maternity clothes weren’t fashionable (or readily available!) at all. My, how things have changed! Now moms can be comfortable, fashionable, and ready for anything with the great clothes that are out there. One of the great things about Mommy’s Idea is that I get to learn about all kinds of fantastic products and websites. For those of you having babies, and needing some great clothes, you’ll have to check out these maternity clothes from Very.co.uk! The site boasts, “Great fashion for Mums to be” and they deliver. Whether you’re staying in our going out, they have everything from comfy sleepwear to fashionable tops and dresses. The casual tops are absolutely adorable and the sleepwear is the perfect mix of comfy and cute. You’ll also find whatever kind of maternity jeans you love best. There are jeans with that “over-the-bump” panel that keeps your tummy comfortable and concealed, as well as jeans with a stretch panel waist to wear “under” your bump. Don’t forget those all important maternity and nursing bras- you’ll find those here too. And they are as stylish and functional as the rest of the items for sale. You’ll also find a “New Mum & Baby Handy Checklist” to keep organized in your journey to find all the baby essentials. There’s even a maternity blog where you’ll find for lots of information and tips for moms. So if you’re a mum-to-be, be sure to head on over! 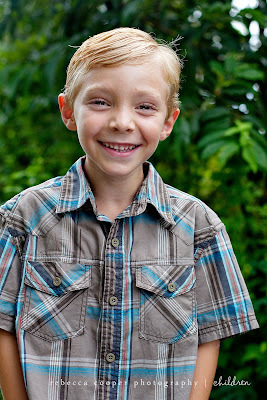 Five Simple Tips for Taking Pictures of Your Kids! 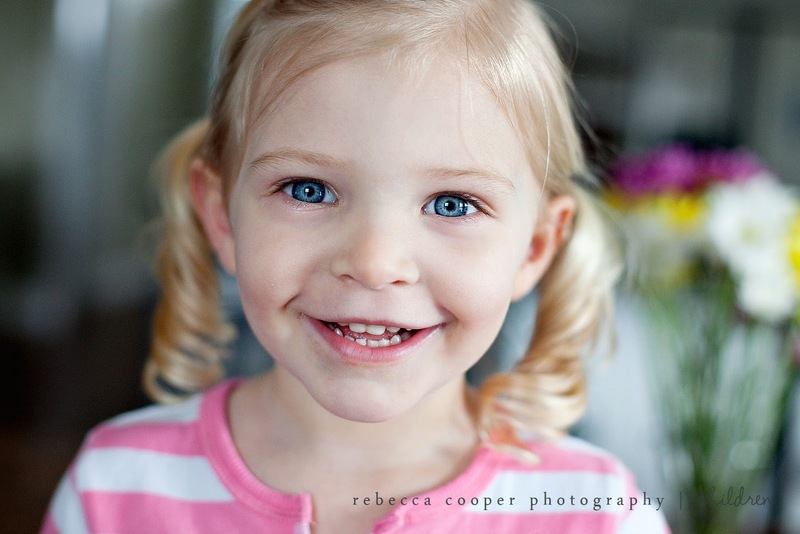 Hello everyone, my name is Rebecca Cooper and I'm so excited to be here on Mommy's Idea. I am a SAHM of four (Emily 7, Carson 5, Addie 2 and Alivia 8 months), wife to my wonderful husband Randal, an avid scrapbooker and a professional photographer. We're from Canada but are living on the Caribbean Island of St. Eustatius for the time being and are loving our new tropical home. You can read more about our little family and our adventures on my blog Simple As That. Do you struggle to get that ever elusive smile? You know the one I'm talking about right? A 'real' smile, not one of those cheesy grins we know all too well. 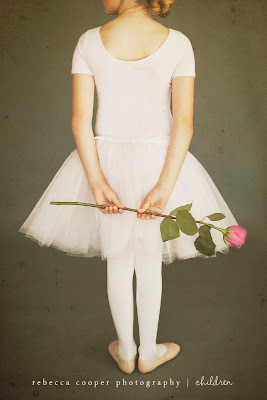 Perhaps you're stuck at getting your child to stay still long enough to snap a photo that isn't blurry? Whatever your photography woes are, when it comes to taking pictures of your own children, I have a few ideas that might help. 1. No More Cheese Please. 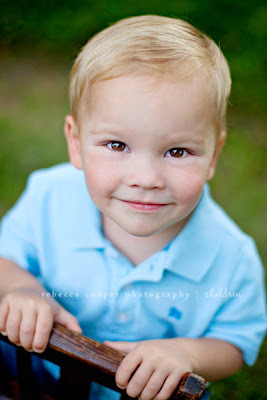 While it may seem to do the trick, asking your child to 'say cheese' will yeild a smile that is just that...cheesy. Try engaging your child in a conversation about something they are interested in (ie. an upcoming birthday, their favorite tv show, a recent family trip, what you're going to do after pictures) and be ready to catch that winning smile. While it may take a little more time, that beautiful smile is always worth the wait! My two-year old Addie has the cheesy smile down to a science but when we get serious and start talking Princesses or Dora the real smiles aren't hard to find! 2. Be Prepared. 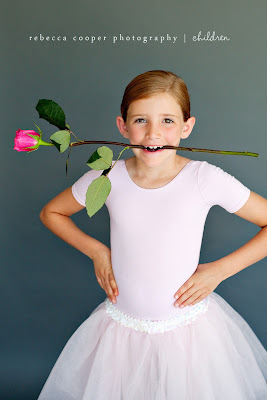 When taking photos of your children a little bit of planning can go a long way. I like to have everything ready ahead of time that I may need for photos to make the best use out of our picture taking time. Have a chair ready for them to sit on, snacks or a drink, diaper wipes handy for a messy face or runny nose. Make sure your camera settings are correct and your battery is fully charged, etc. Plan around your child's schedule so they won't be hungry or tired during photos. Any planning you can do ahead of time will make your photos go that much smoother. 3. Make it Quick. Children's attention spans aren't very long so make the most out of your photo taking time by being quick with your camera. Know your camera well so that you can switch quickly and easily between settings when needed (your camera's manual is a great resource to learn the ins and outs of your camera). Adjust your camera settings where necessary to capture more images in a short amount of time. Burst mode or sports mode are great tools for this especially if you have a young child who is on the move. If you are shooting in manual be sure to check that shutter speed and make sure its fast enough as well. This little guy was busy as could be but when he was ready to sit down for a second (literally) I was there with my camera waiting and got this quick shot. 4. Let Your Child Set the Pace. Capturing great photos of your kids happens most often when you allow yourself to step back, observe and let your child run the show. My kids love it when I let them have a turn choosing their poses, where to sit, or to make a silly face for the camera and when it's mom's turn afterwards they are much more cooperative. 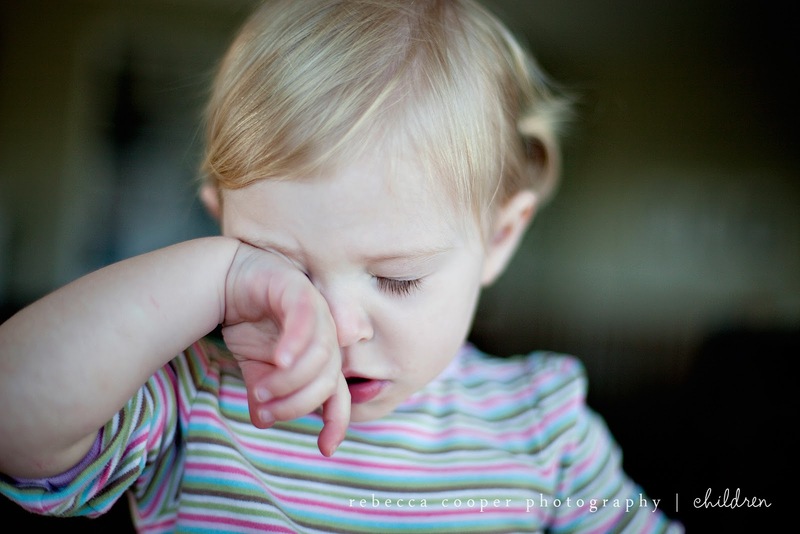 Be sure to pay attention to your child's cues as to when they're finished with photos. If it's no longer fun for your child put the camera away for a while and change activities or come back to it another day. 5. Make it Fun. Associating fun times with getting their photos taken is exactly what you want your children to do. Not only will they enjoy getting the photos taken but they will actually look forward to them the next time. Enjoy a special treat together after pictures, bring along a fun prop (ie. balloons, a bubble maker), hand the camera over to your child and let them play the photographer. If you have a busy toddler who doesn't want to stand still we like to play the game stand on the ___________. Find an object on the ground like a stick, rock, or bring a long some stickers that they can stand on and try not to fall off of. There are many things you can do to make pictures a fun experience for you and your child. Capturing memorable photos of my children is so important to me as I know it is to so many of us. I hope these 5 simple tips will be useful the next time you pull out your camera to capture some of those memorable photos of your own. 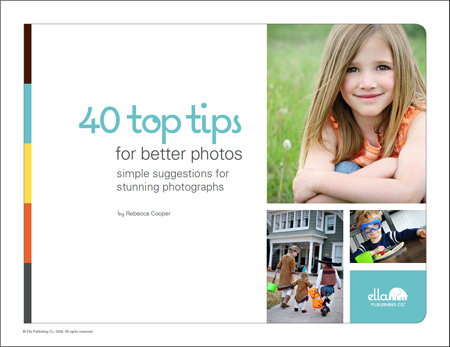 For more easy to follow photography tips check out Rebecca's ebook 40 Top Tips for Better Photos by Ella Publishing. (Winner gets an EcoSMART bundle, which might include products like EcoSMART organic insect killer or weed and grass killer. You’ll get to choose your EcoSMART products! Here's how to enter . . .
2. Come back here and leave a comment telling us which bundle you’d choose. Contest ends at 11:59 PM EST on Monday, October 4, 2010. Top Troubles: Nearly half of first-time moms (49 percent) cited gas as their top feeding problem, followed by difficulty breastfeeding (37 percent), fussiness or difficulty feeding (33 percent) and problems latching or sucking (32 percent). Full of Concern: The majority of moms surveyed (70 percent) share a common concern that their baby is eating enough during feedings. Hungry for Help: Moms are searching for answers and validation as they become feeding “experts” for their own baby. More than half of survey respondents (56 percent) ask feeding-related questions during their regular pediatrician appointments; with more than one in four (26 percent) doing so at every visit. Here are some links you can check out for more information . . . Win a Package from Finish! A New Way to Run Your Dishwasher. FINISH has come up with a neat little gadget to make running your dishwasher even easier. It’s as simple as placing the system on the top rack of your dishwasher and then you don’t have to worry about it for 12 washes. Now, you have to make sure you explain this to your husband or he may put the normal detergent in as well. :) It cleans really well and doesn’t take up too much room. See it for yourself here. See below for how to win! Contest ends at 11:59 PM EST on Tuesday, September 28, 2010. The planner is compiled into an 8x10 coil book, small enough to carry yet big enough to track your life and the memories along the way. In between each month there is a full budgeting page, complete with a spot to chart your long term savings goals! There is also a social page with room for goals, priorities, journaling, etc. Your day is set up to 'hold it all', from the priority for the day, homework planning and evening plans. At the end of each week you have spots designated for 'assignment updates and deadlines', 'need to get done list', and what you can't forget for that week. The rest of the planner consists of room for notes, 'did you know facts', math help formulas, contacts etc. here's a glimpse inside . . .
2. Leave a comment telling us who this planner would be for. Contest ends at 11:59 PM EST on Saturday, September 18, 2010.